Hurricane Irma may have knocked us down, but we reserve the right to rebuild and make Naples Estates better than anyone could imagine! 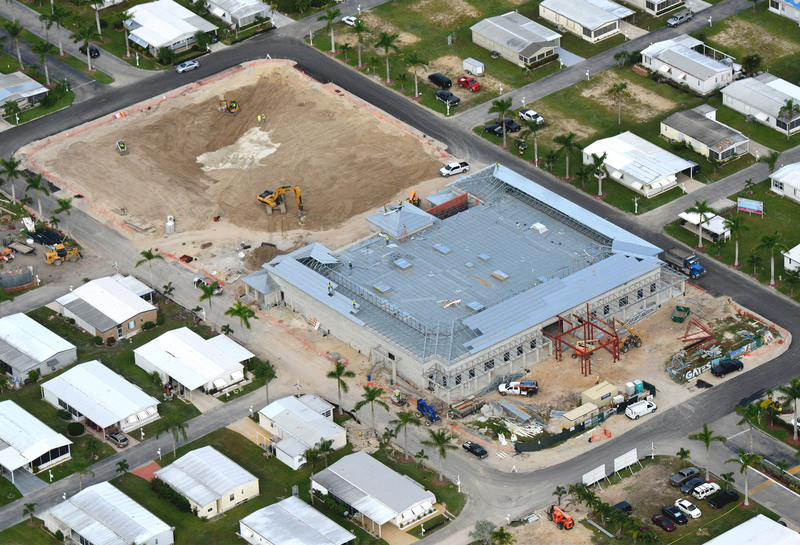 Work is underway to make Naples Estates the premier community for active adults in the area. New landscape, clubhouse and amenities are on their way. We’ve also ordered new homes built to Wind Zone 3 specifications. Watch the live camera below to see all the activity. As you may have heard, we are very sad to report that there was a fire at the new Naples Estates Clubhouse currently under construction. While the damage is being assessed, we wanted to state our most sincere thanks to the Greater Naples Fire Rescue District and Naples Fire Rescue for their quick action to ensure everyone’s safety and contain the damage. This may be a setback but it will not deter us from creating Naples’ premiere 55+ community for active adults. We will clean up the water, replace all the damaged parts, and finish what we have started! Stay tuned for updates on our NEW opening date. CONSTRUCTION BEGINS! We are excited to announce that demolition of the existing clubhouse and amenities has begun and construction crews are hard at work to build our fantastic new clubhouse and activity center. 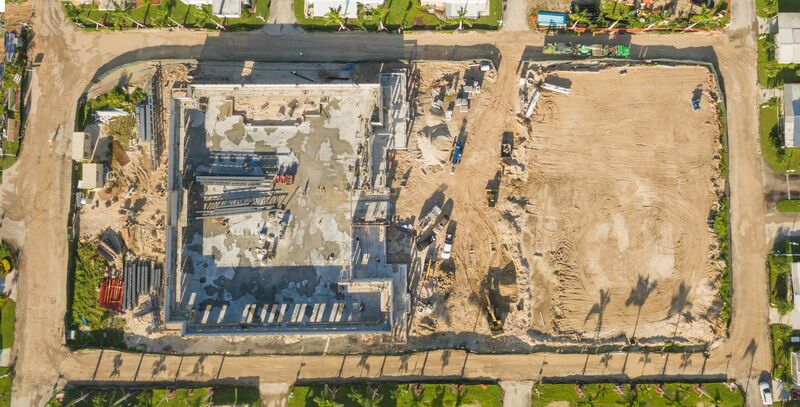 Check back often and watch the live camera to see the new Naples Estates take shape. 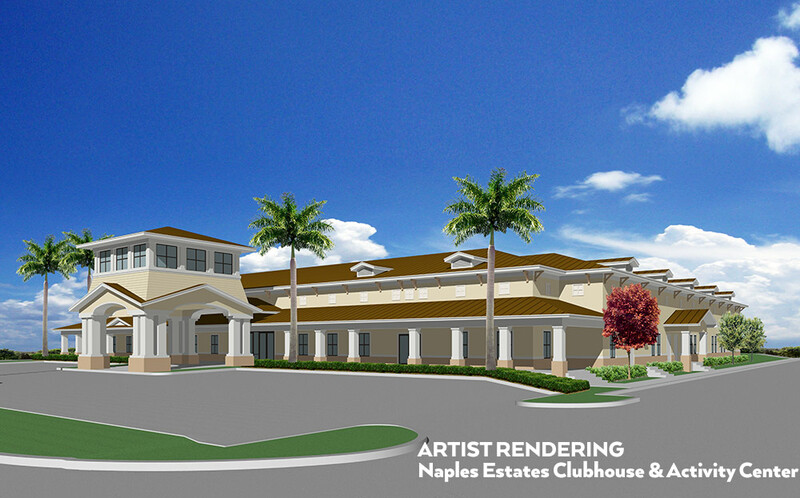 The artist rendering of our new clubhouse and activity center is now complete. Wow! This large facility is proposed to have concert and ballroom facilities, a commercial kitchen for large events, rooms for crafts complete with a kiln, a large fitness center, pool area, party patio, bandstand, mini-golf course and shuffleboard courts. Best of all, Mr. Tony Orlando will come to Naples Estates in February 2019 to perform just for our residents! 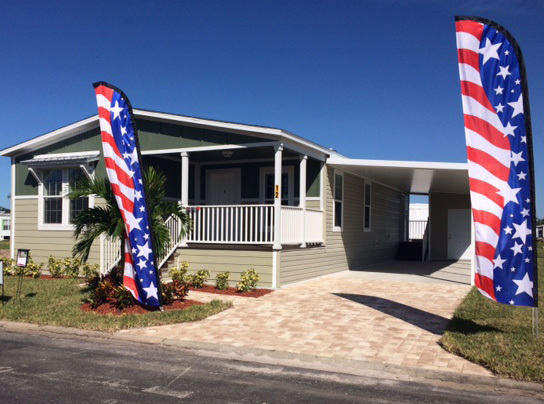 Our temporary management and home sales offices are now open! 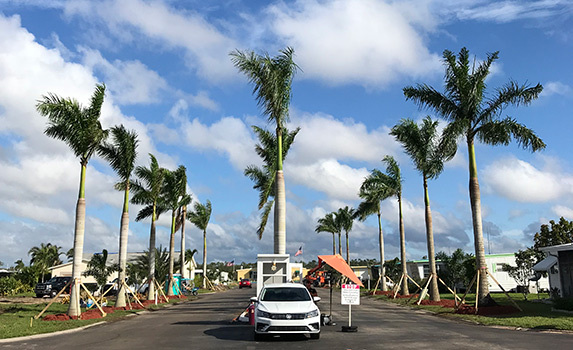 If our new paved parking lot is any indication of our attention to detail, then you can imagine how nice the new resort style clubhouse and amenities are going to be. 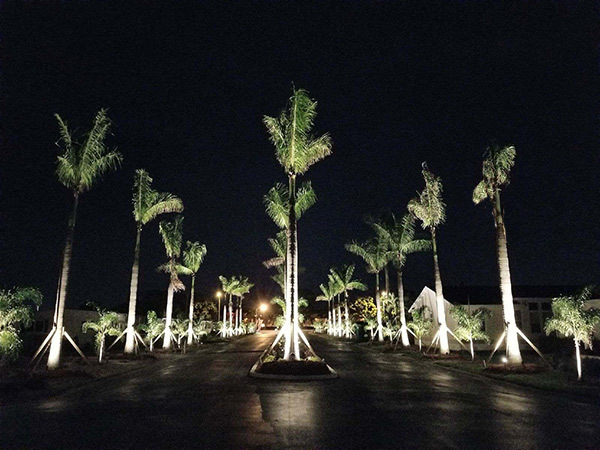 The Resort Style look is starting to take shape with the addition of lighting to the palm trees at the entrance. The up-lighting provides an elegant and welcoming feel at night time and helps to guide drivers in to the community. 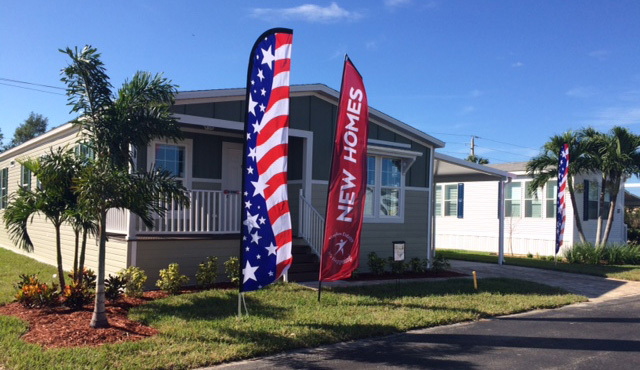 Two of our new homes are set up and ready for sale. These new models are rated for Wind Zone 3 and combine the latest in space saving design and energy efficiency. They are spacious, comfortable and beautiful. 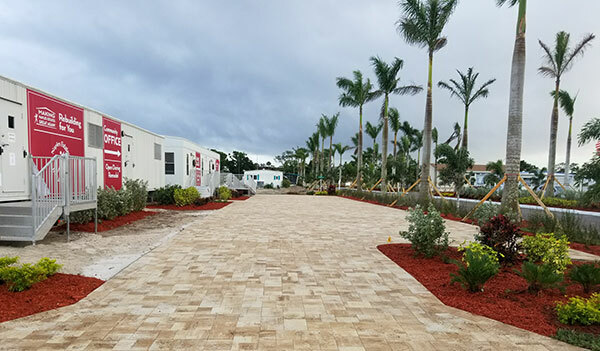 The perfect home for someone looking to take advantage of everything Naples has to offer and who want to be here when all of our amazing new amenities open. 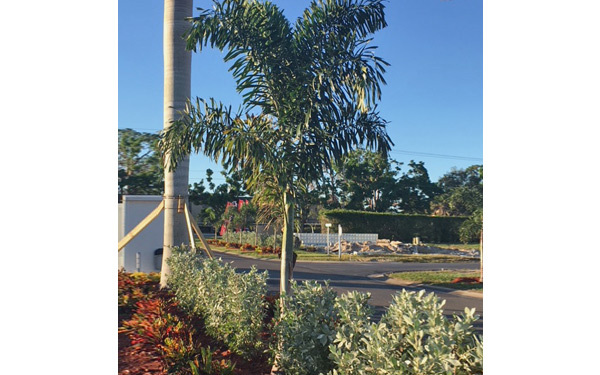 More of these beautiful palms are installed lining the entrance to provide a welcoming, resort-like atmosphere. 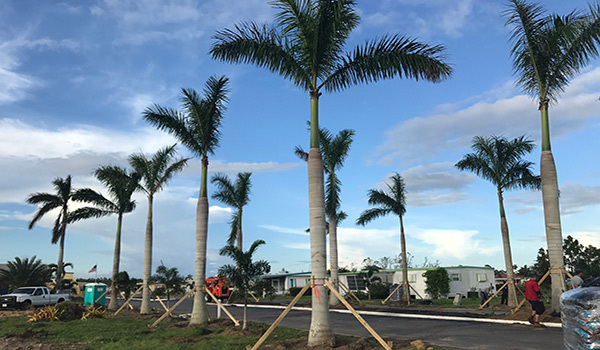 Day 1 of our program to Make Naples Estates Great Again kicks off with the installation of beautiful new trees that greet you as you drive in. 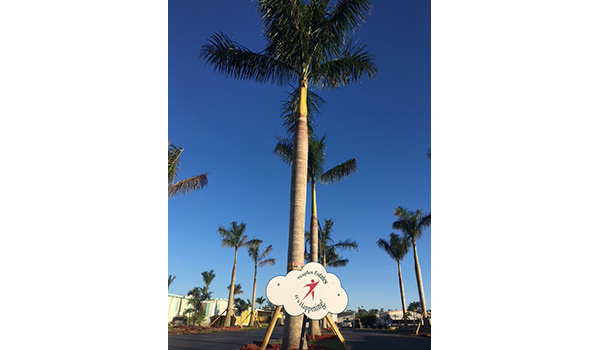 These stunning palms replace trees that were destroyed by Hurricane Irma while giving a resort feeling to all who enter the community. It’s just the beginning of great things to come! President Trump, the First Lady, Vice President Pence, Governor Scott and Senator Rubio toured Naples Estates on September 14, 2017 expressing his support for the people of our community and praising all the First Responders who helped during the Hurricane Irma.